INDUSTRIAL MEC ABBRIATA MARIO SRL, Masini agricole, farming machinery manufacture, agricultural machinery carried and towed, pe EUROPAGES. 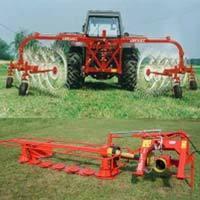 Industrial Mec Abbriata Mario works in the construction of machinery for hay harvesting. Our experience and continuous tests enable us to manufacture products which satisfy the client's requirements. CAD CAM systems and computerised numerically controlled work centres, used in the production process, guarantee the high quality of our machines. For over 20 years, we have specialised in the creation of precision tools for third parties.